Some gross weather hit the Philadelphia area Monday afternoon. A flash flood watch is in effect for Southeastern Pennsylvania, northern Delaware and parts of South Jersey from noon through the evening. 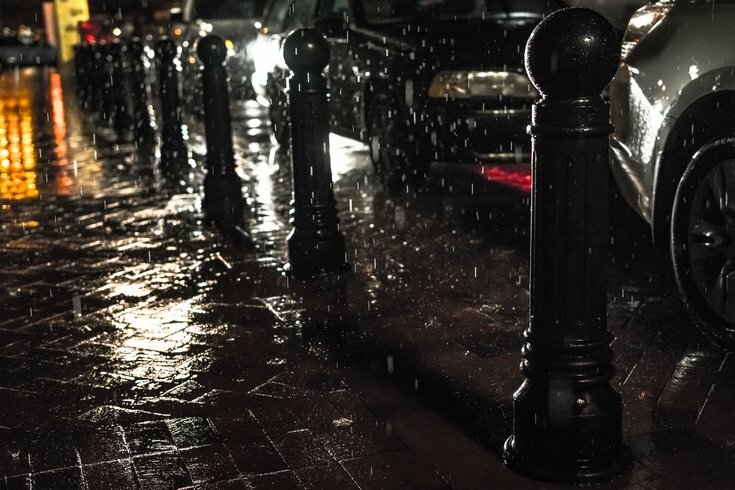 National Weather Service forecasters predicted showers and thunderstorms will bring "torrential downpours," with rainfall amounts of 1-2 inches across the region and some parts getting up to 3-5 inches. In Philadelphia, the bulk of the rain fell in a very short period of time, with the heaviest rain falling in the late afternoon. By early evening, most rainfall had slowed to a trickle. Flash flooding of creeks and roadways remains possible, especially in urban areas or places with poor drainage. The NWS provides safety tips and precautionary actions for flash flooding here. Tuesday: Mostly sunny, with a high near 87. At night, partly cloudy, with a low around 68. Wednesday: Mostly sunny, with a high near 85. At night, partly cloudy, with a low around 65. Thursday: Mostly sunny, with a high near 88. At night, partly cloudy, with a low around 71. Friday: A chance of showers and thunderstorms after 2pm. Mostly cloudy, with a high near 89. Chance of precipitation is 40 percent. At night, a chance of showers and thunderstorms. Mostly cloudy, with a low around 72. Saturday: Partly sunny, with a high near 88. At night, mostly cloudy, with a low around 68. Sunday: A chance of showers and thunderstorms. Partly sunny, with a high near 85. At night, mostly cloudy, with a low around 66.